I’ve met amazing and talented people and learned valuable lessons from many inspiring professionals! 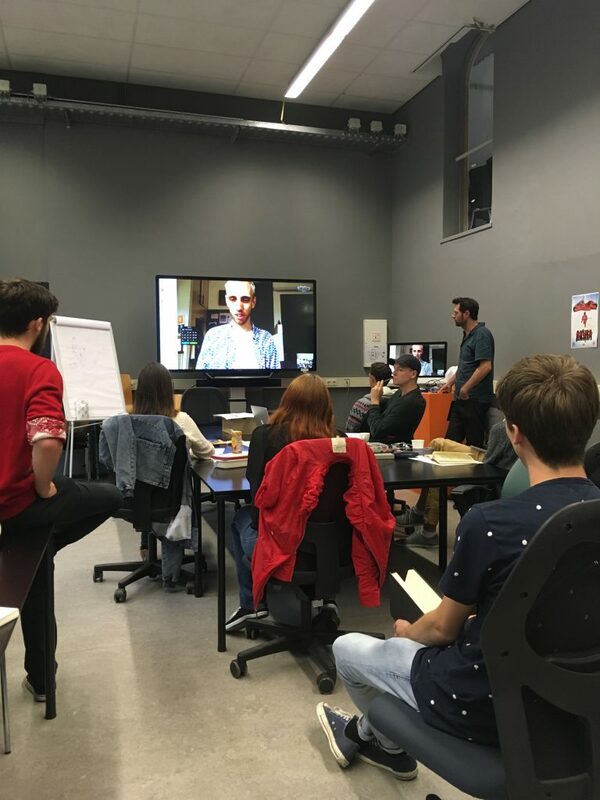 We’ve had some interesting skype sessions with director David Wilson and producer Ania Markham (PostPanic). 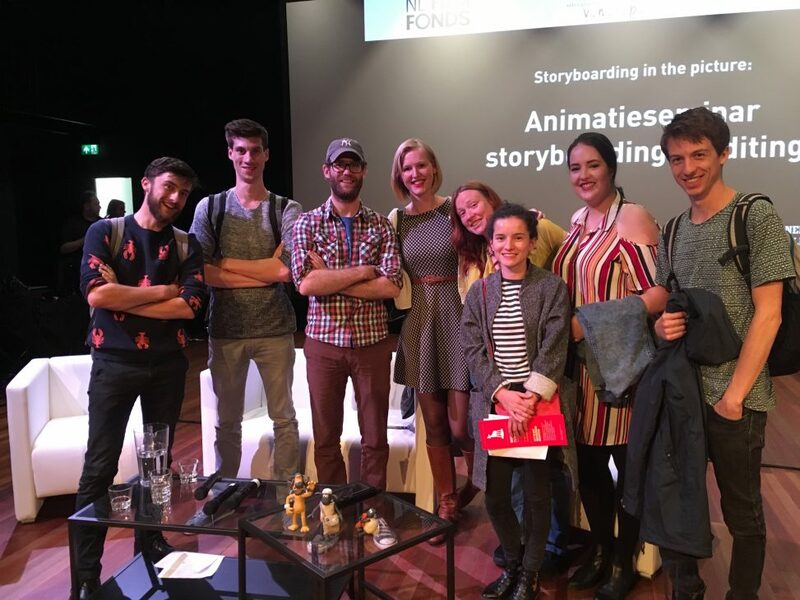 We went to the Netherlands Film Festival to an Animation Seminar with Michael Dudok De Wit, Sim Evan-Jones and Ashley Boddy. We’ve visited studios Apvis and Smack. The great animators Anna Eijsbouts and Peter Wassink taught us during two workshops about lipsyncing, frame by frame animation and how to use TvPaint. Really exciting stuff! I’m also reading a lot about animation and writing blog posts about contemporary topics we’re discussing during classes, such as the future of animation and interactive storytelling. Very interesting! The first period will be closed off at the Playgrounds Festival. Our class’ animations will be accompanied by the live performance of two beatboxers during the opening night on November 1st.